I've combing through listings on Briar Press and Craiglist here and there for letterpress supplies. We've gone as far as Oakland to buy a few drawers of type and the rest is from. Where did we find the Vandercook? We found it in a garage in Burbank. It had been sitting in this garage for over 15 years and the owner said it was time to let go. All this time, there was a Vandercook less than 10 miles from our house. As far as the other supplies, I got some type from Oakland, some wood letters and ink from my cousin who is also a letterpress aficionado and most recently, I've acquired a corner rounder and some wood furniture from Uno Press, a another local LA-based presser. They were relocating offices and downsizing and they were letting go a few things including a schnazzy fully-restored, bright red Vandercook 4. 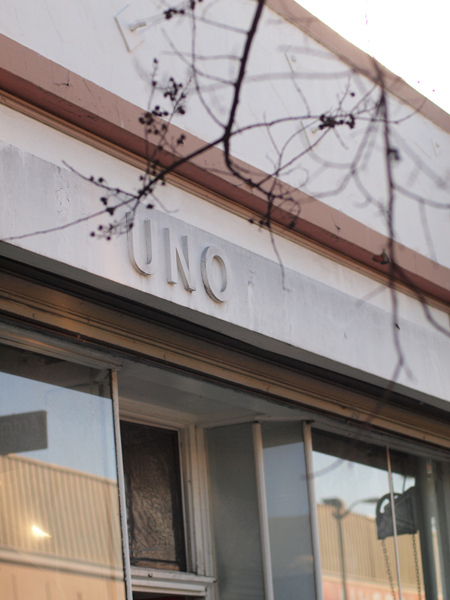 Here's a few pics from my visit at Uno Press in Koreatown, Los Angeles.